Guoliang Wei has captured the fourth Chinese WSOP gold bracelet by winning Event #68: $1,000+111 The Little One for One Drop. Wei defeated Francois Tosques of France heads-up after a fairytale ending. 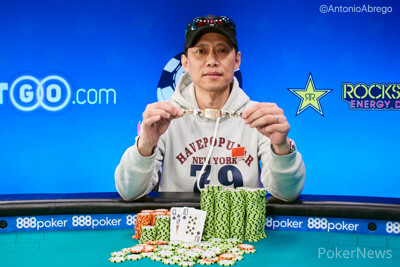 Holding an open-ended straight flush draw against Tosques' set of jacks, Wei caught the king of spades on the river to improve to a straight flush and win it all. Wei plays poker mostly in China but made a few small cashes in the US before this one. As expected, it's Wei biggest score and second six-figure score of his career. “I’m excited and happy," he smiled. Wei came out from China with Du Yan (his wife) and friends to play the Main Event and this one. Yan and Wei left their six-month-old newborn at home with the babysitter. The young father can now return home with a gold WSOP bracelet. Wei's plan was to be aggressive heads up and keep attacking. He started three-betting and getting folds, and that helped him gain momentum and stack advantage before winning it with the king of spades and the straight flush. “I felt it, the king of spades, before it fell – in my mind." At noon local time, fourteen players out of 4,732 strong field returned for the fourth and final day of this event. For each buyin in the prize pool, $111 would go to the One Drop foundation, bringing in more than half a million dollars for the charity that provides sustainable access to water. Bracelet winner Justin Liberto would be the first to go after losing a big coinflip with ace-king against Erwann Pecheux' pocket sevens. Paul Byrne was the next one out the door, followed by Daria Feshchenko. 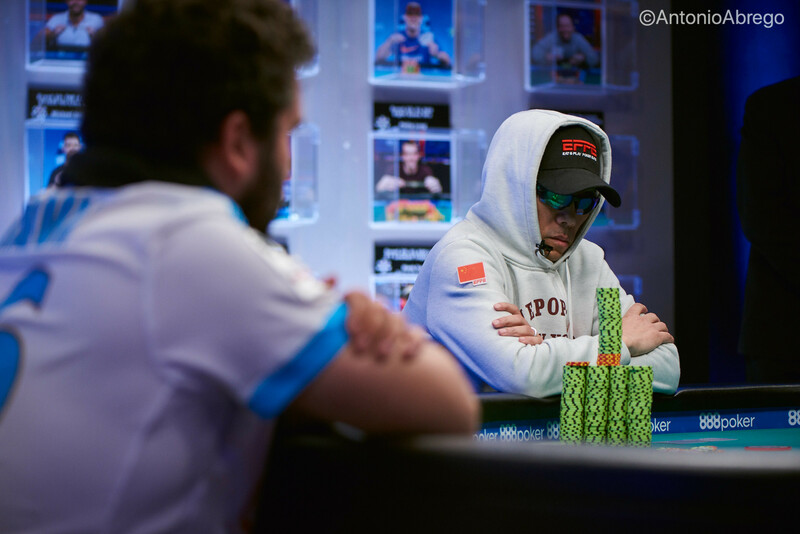 The Russian, who was part of the 888poker 8-Team promotion during the Main Event, bowed out in 12th place after losing with ace-trey against Tosques' king-jack. Another bracelet winner just fell short of the final table, as last year's Tag Team champion Aditya Sushant got railed when he ran king-jack into pocket queens. Richard Cox was the first out of the final ten who made the unofficial final table to bust, bringing the remaining nine players to the official final table. 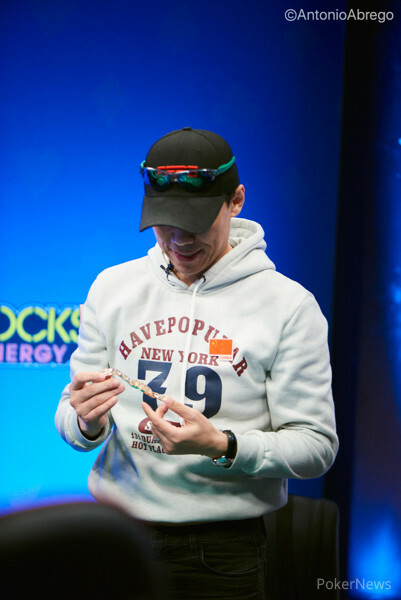 Filipino Lester Edoc finished in 9th place after losing pocket jacks to Tosques' king-seven. Wei won a key pot against Pecheux at this stage, where he caught an ace on the turn to win with ace-king against Pecheux' pocket queens. The French pro never truly recovered from it; although it took until the 59th hand at the final table before he'd become the next to go. Pecheux shoved ace-ten from the cutoff and his countryman and fellow teammate Tosques reshoved on the button with pocket kings. No help for Pecheux made him the eight place finisher. Brazil's Renato Kaneoya finished in seventh and Joe Hoellein ran out of chips in 6th place. At that point, the crowds started gathering, making the final table a treat to watch. While the boisterous rail was mostly on Tosques' hand, Wei brought in some friends of his own who screamed at the top of their lungs. After Hoellein busted, Richard Douglas was the next to go shortly after, failing to improve in an all-in situation. South Korea's Sung Joo Hyun then followed out the door. Three-handed play quickly came down to just two people after the elimination of Christopher Staats, who got the last of his chips in preflop with ace-nine and was looked up and outflopped by the king-queen of Tosques. The heads-up started with equal chip stacks and went back and forth until one hand decided it all. Wei limped on the button, Tosques raised and Wei called. On a jack-nine-deuce flop with the jack and nine of spades, Tosques bet, Wei raised and the Frenchman called. The turn was the queen of hearts and Tosques check-shoved a little more than Wei's bet. 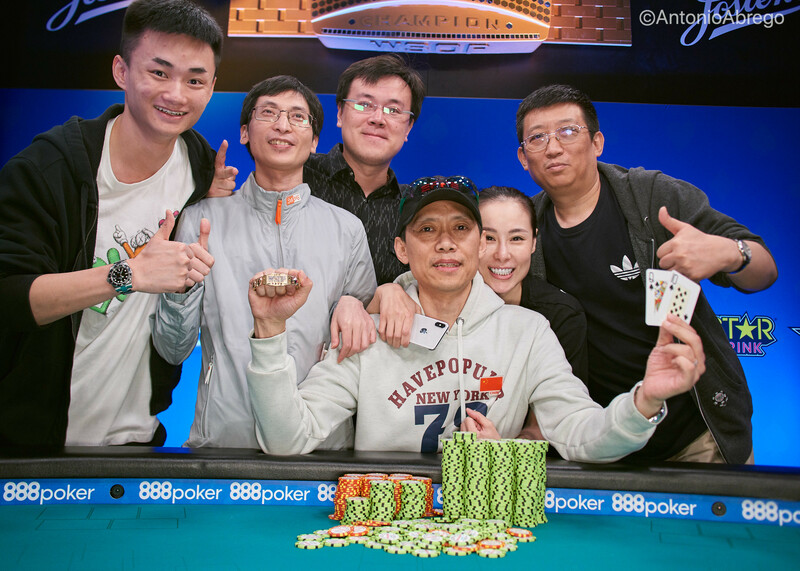 Tosques showed pocket jacks, Wei had queen-ten of spades and celebrated with his wife and friends after the king of spades fell on the river to make him China's fourth bracelet winner after Yueqi Zhu, Jiang Chen and Yunpeng Zhou. This concludes PokerNews live coverage of this event, but don't go anywhere as the stakes get higher in both the Main Event and the Big One for One Drop.